Wow - what a fantastic project to have been involved in - we really need to count our blessings. It is awesome to see friends, a community and a nation pull together to make a dream come true, for a very young family. LATICRETE recently got behind this heart warming project along side Outdoor Secrets and Slate & Stone. We are proud to have been able to donate materials. 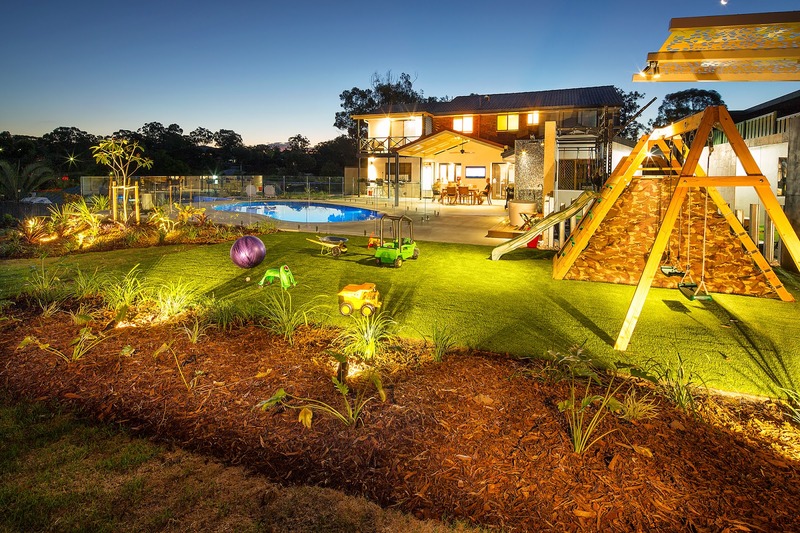 This project was aired on A Current Affair on Channel 9 on Friday, 28 March. If you missed ACA on Friday night, click here to watch the recording - a truly touching story! Gym - 335 Premium Flexible Adhesive. 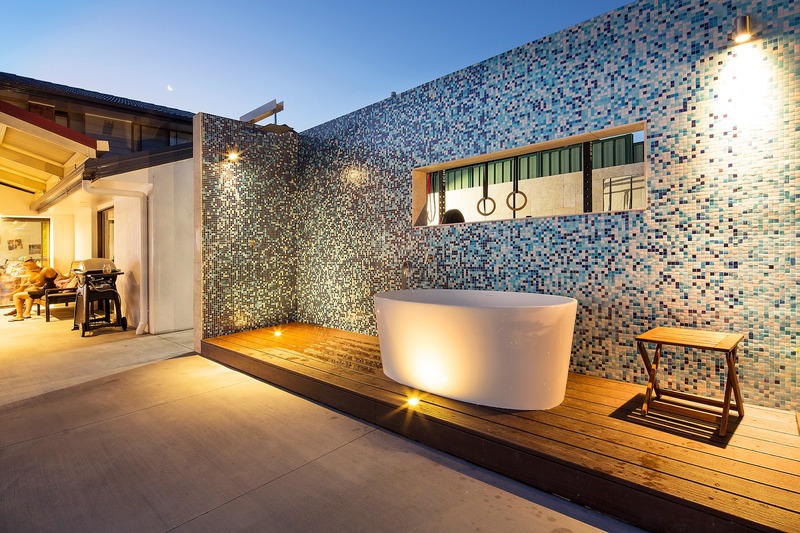 Outdoor bath area - HYDRO BAN® waterproof membrane and SPECTRALOCK® PRO, the "StainProof" grout. 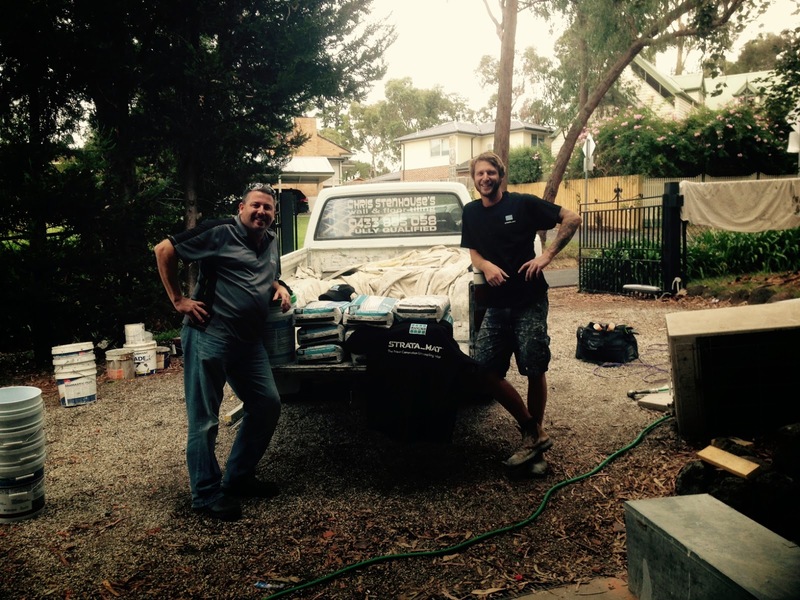 We wish Brett and Casey Johnson all the very best and know their new backyard bring new smiles! 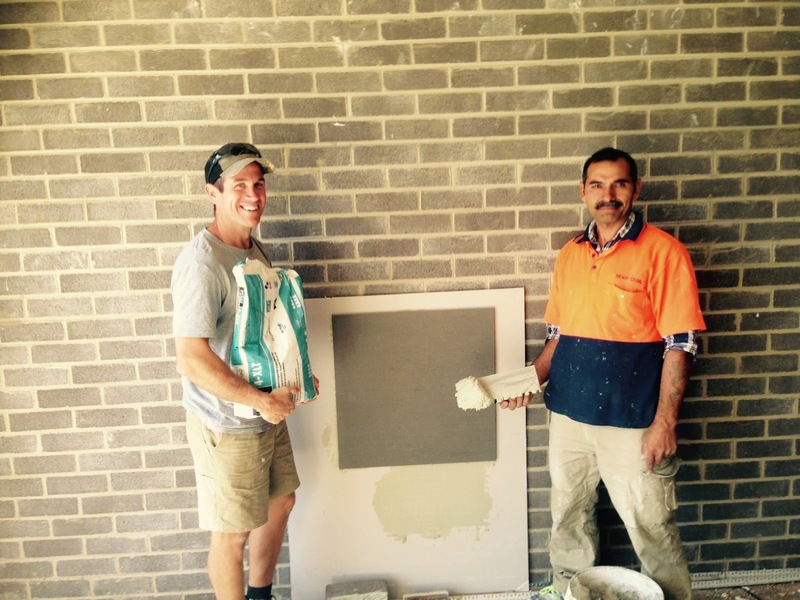 LATICRETE gets behind Tradies and Industry Professionals to up skill them on waterproofing when using HYDRO BAN. 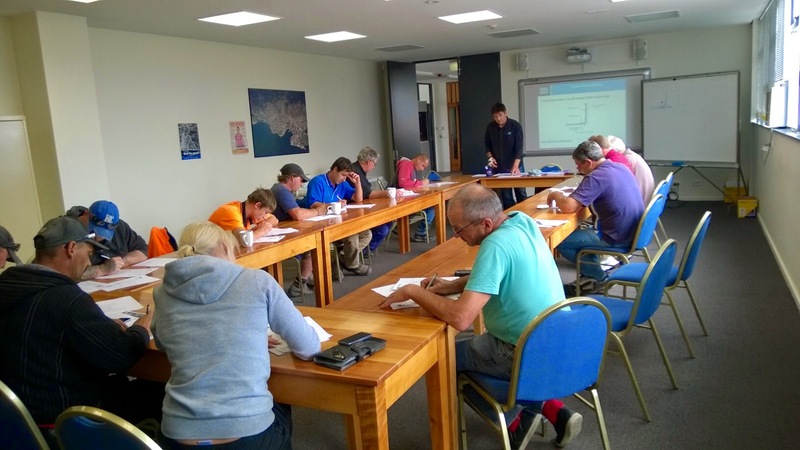 The most recent waterproofing course was in TAS. HYDRO BAN is a thin, load bearing waterproofing/crack isolation membrane that DOES NOT require the use of fabric in the field, coves or corners. Click here for more information and view an installation video. Interested in attending the LATICRETE waterproofing training? Contact us on 1800 331 012 or email us here. 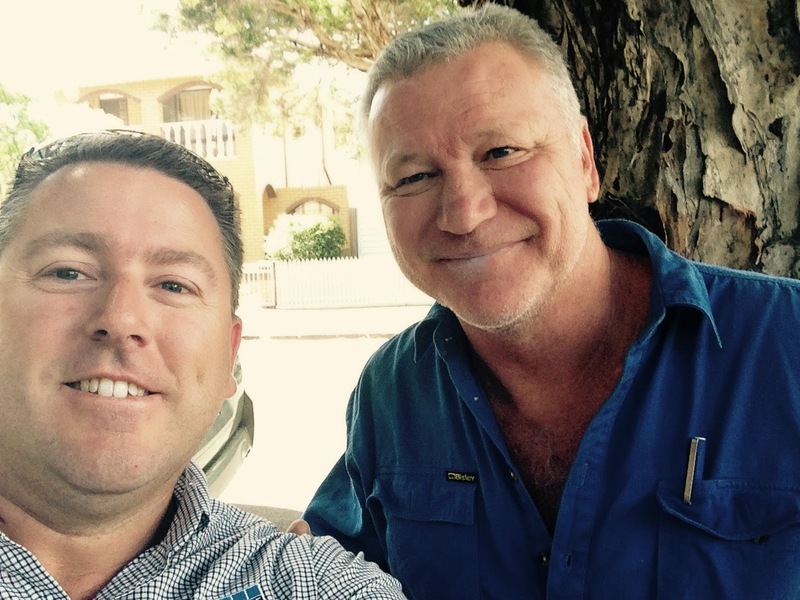 Nick Collett the LATICRETE VIC Technical Sales Rep with Scotty Cam. Makes you think, Scott Cam & LATICRETE together - IS something going on? IS LATICRETE® going to be used on The Block?! Are they David Jones Models? Is that a STRATA_MAT t-shirt? 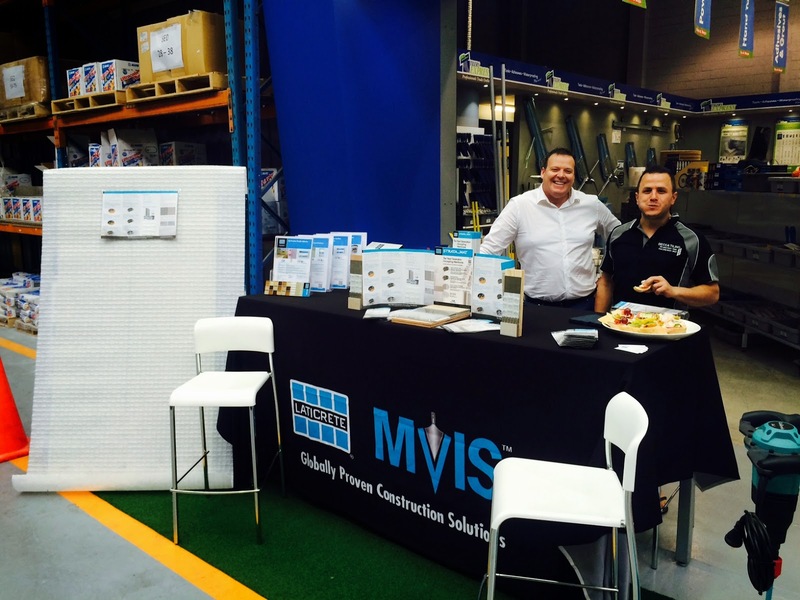 Nick Collett, VIC LATICRETE Technical Sales Rep on site with Chris Stenhouse. We wonder what they up to…hopefully Nick will keep us posted! 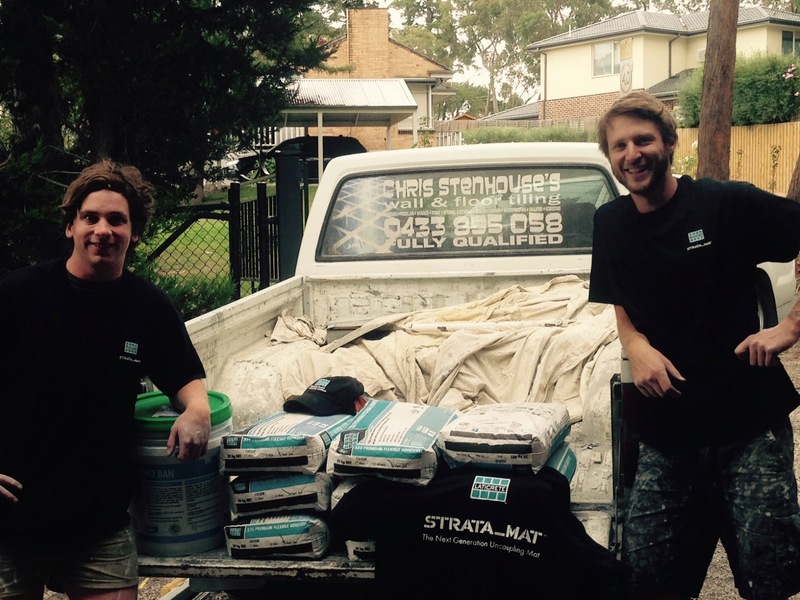 Spotted here is: 335 Rapid Premium Flexible Adhesive, HYDRO BAN® and a STRATA_MAT t-shirt. 335 Rapid Premium Flexible Adhesive - a high performance thin-bed adhesive for installing a wide range of types of tiles and stone including low absorption ceramic tile, porcelain tile, natural and manufactured stone using thin-set method of installation. Click here for more info. STRATA_MAT™ - a next generation high performance uncoupling mat for use under tile and stone installations for both residential and commercial applications. Designed to replace traditional underlayment materials. Engineered to allow safe, reliable installations of tile and stone over "problematic" surfaces such as wood, cracked concrete, post and pre tensioned concrete. The unique patent pending design of STRATA_MAT provides for an enhanced mechanical bond of the adhesive and provides for faster drying of the adhesive. This allows for faster installations and for shorter time to grout. Specifically designed for use with the appropriate adhesive for the tile or stone being installed, STRATA_MAT allows for the proper adhesive to be used with porcelain or large format tiles as well as moisture senstive stone and agglomerate stones. Click here for more info and to view an installation video. Contact us to discuss your next project. Perhaps we can interest you in a FREE sample? 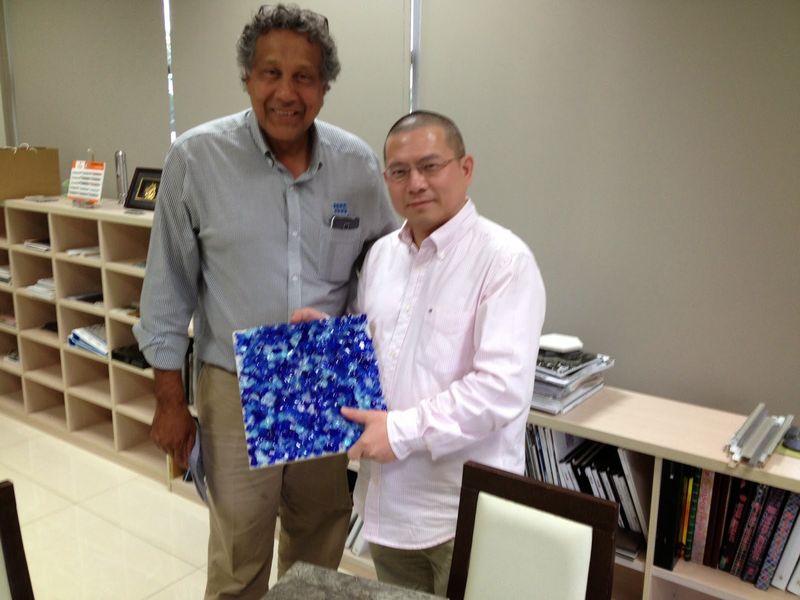 For close to 60 years LATICRETE has been committed to research and envelopment of innovative construction materials for the installation of tile and stone and has bult a reputation for superior quality, performance and customer service. 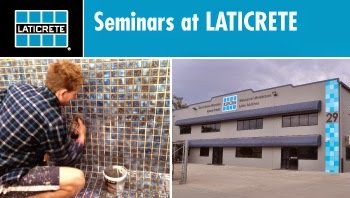 Contact LATICRETE Technical Support on 1800 331 012 or email us here to discuss FREE demo and training materials and to arrange customised presentations/training on new tile installation technologies and products that are coming to Australia. Click here to view/download the LATICRETE Brand Brochure - this brochure identifies who we are and the solutions we provide to the construction industry. Apprentice of the Year for 2014! 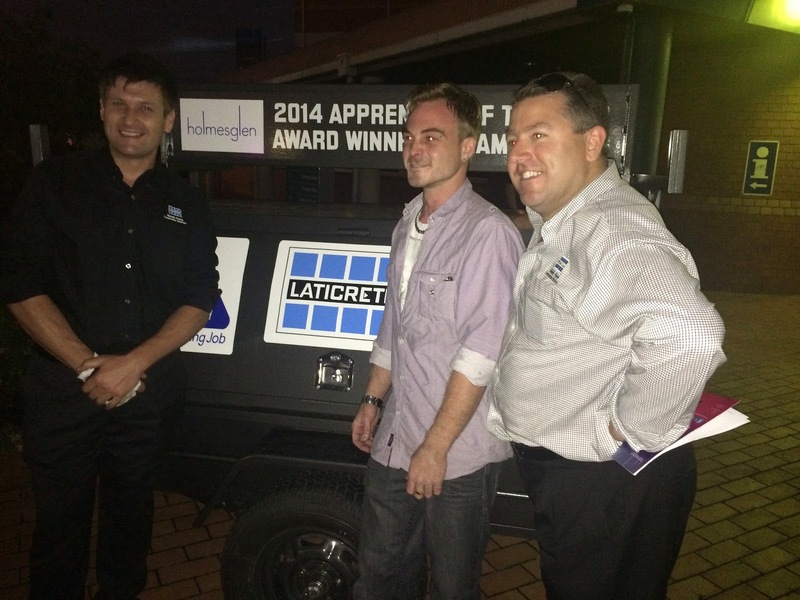 LATICRETE is a proud sponsor for the Holmesglen trailer. 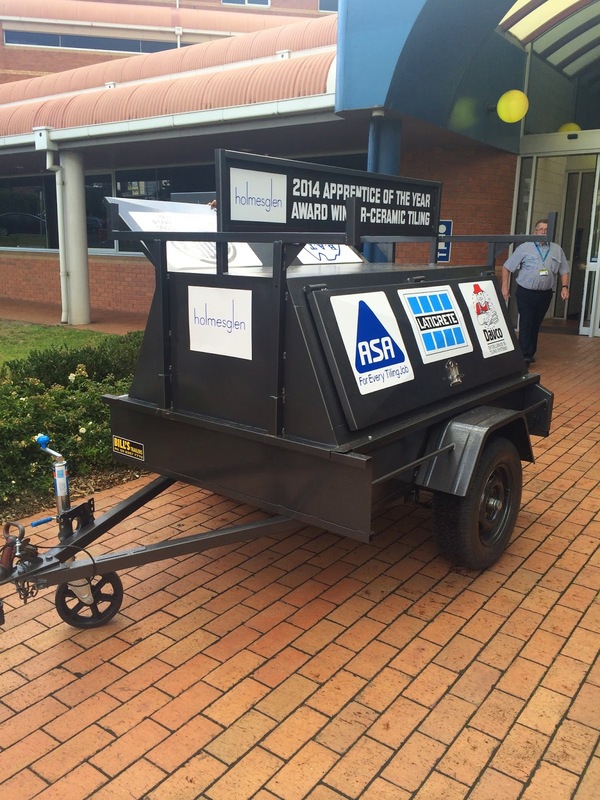 This is awarded to the "Apprentice of The Year." LATICRETE VIC Technical Sales Rep, Alex Kralefski and Nick Collett attended the awards evening and are pictured here with the winner of the "Apprentice of the Year Award" Kell Beaumont. 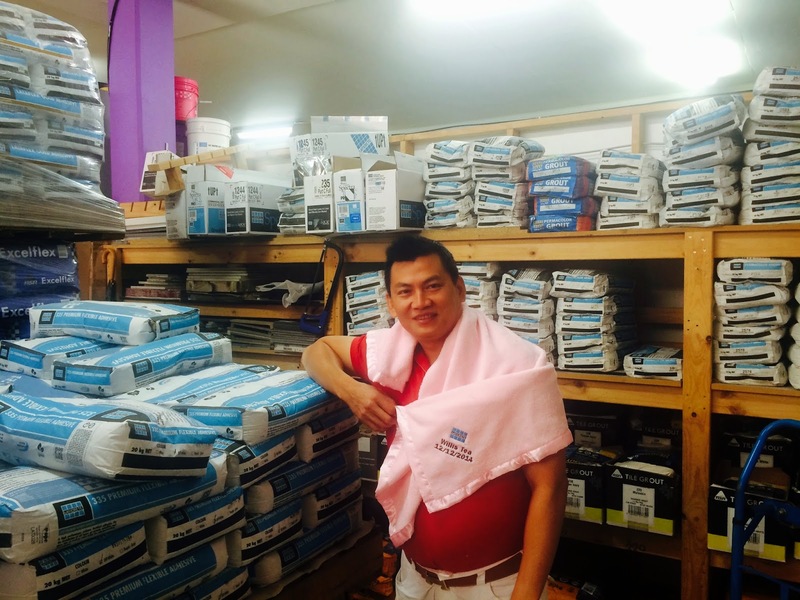 Bunly from Superb Tiles Mitcham is excited to present and wrap his new born baby girl 'Willisa' with a LATICRETE baby blanket. "Thank you Laticrete for welcoming our new arrival of our first born baby girl 'Willisa Tea' into this world. As new parents we are excited and delighted with your kind gift. It shows us the importance of relationship building in both personal and business life. 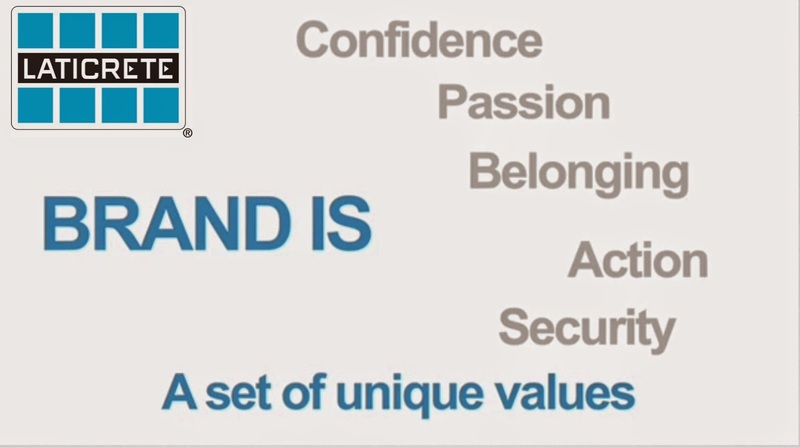 But most of all it is nice to be noticed and involved with a global company that help support everyone. Our business has moved in the right direction with LATICRETE and we endeavour to keep this relationship for many years. Once again, thank you from Bunly, Rothana and Willisa Tea." 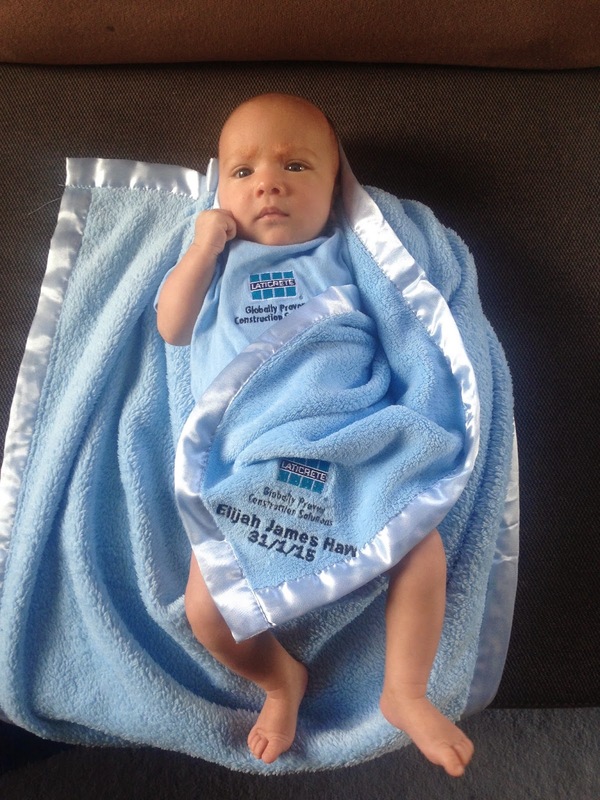 Mitchell Haw, LATICRETE QLD Technical Sales Rep and his wife Marnie welcomed their first little gorgeous baby boy, Elijah James Haw into the world on 31st January 2015. Don't you think he is just to adorable?! Perhaps Elijah will try to be like his Dad - a.k.a "Mitchell Bolt." This Isn't Just Another Grout! 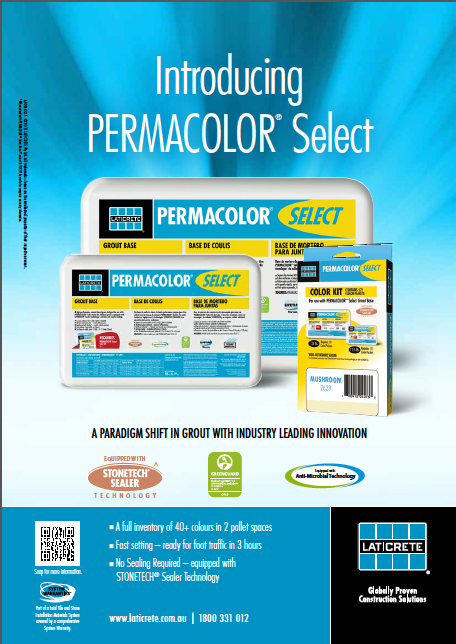 Another Industry First - Our latest product innovation - PERMACOLOR® Select gets featured on poolandspareview - take a look here. Keep your eyes peeled for the official launch date! Want to know more? Contact us here or call 1800 331 012. Nick Collett, your local LATICRETE VIC Technical Sales Rep met up with Johnathan Bryant from Brycon and Drago, from Drago & Sons Tiling recently. Johnathan suggested he had major issues with other adhesives not being able to hang above niches and doors. 4-XLT solved that problem! 4-XLT is a multi-use, polymer fortified adhesive mortar built on the new LATICRETE Water Dispersion Technology (WDT) platform. WDT provides for the complete dispersion of water within the mix allowing users to achieve the desired application consistency. 4-XLT offers tremendous utility including non-sag wall installations, medium bed build-up of up to 19mm and thin-set applications of floors. In addition, 4-XLT is the first product from LATICRETE to come incorporated with the new LATICRETE DUST LOCK™ Technology. This unique way of manufacturing our adhesives dramatically reduces mess both during transportation of the product as well as during mixing. Meets and exceeds the requirements of AS4922.1 as a C1TS1 classification adhesive. Click here for more information. 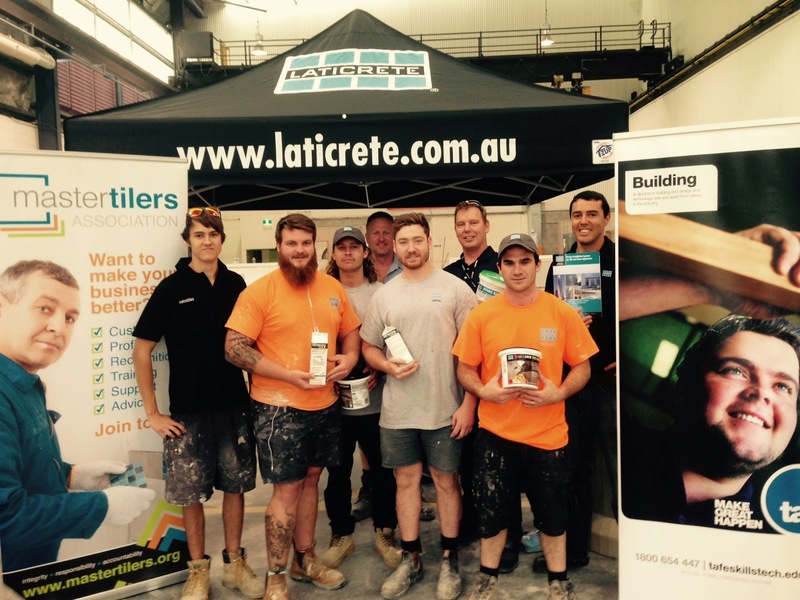 Your local LATICRETE Stockist: The Tile People Geelong. 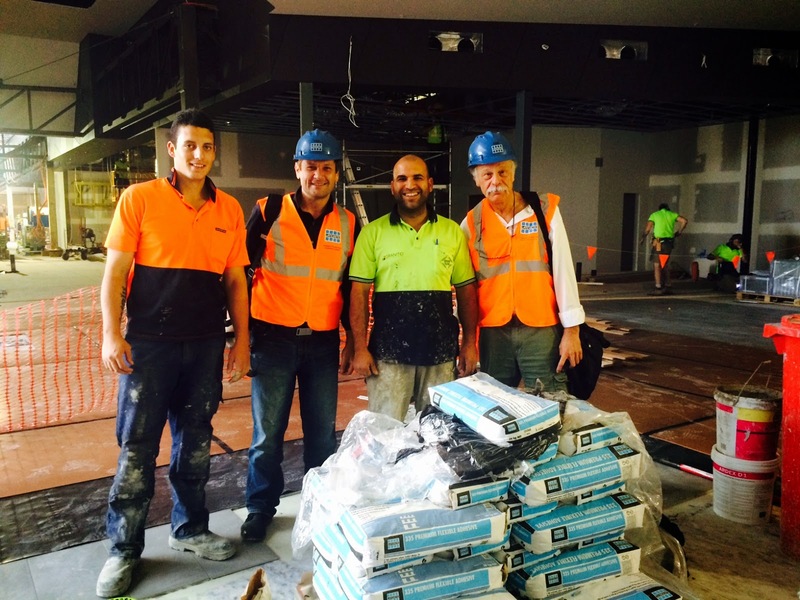 LATICRETE Technical Sales Rep, Alex Kralefski and LATICRETE Australia, General Manager, Henry B. Rothberg were recently on the job site with Ali where 2,000 m2 tile over crack suppression with 335 Premium Flexible Adhesive will be laid. 335 Premium Flexible Adhesive is a high performance thin-bed adhesive for installing a wide range of types of tiles and stone including low absorption ceramic tile, porcelain tile, natural and manufactured stone using thin-set method of installation. Click here for more information. Call 1800 331 012 for more information or email us here. Have You Got Your FREE Bags? Our Fantastic Feb - April Promo is a Promo NOT to be missed! 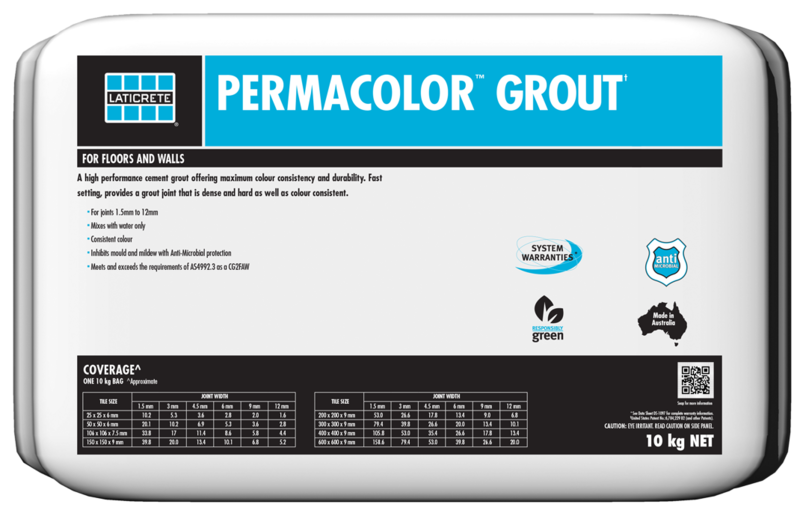 Have you got your *FREE bag of PERMACOLOR® Grout? 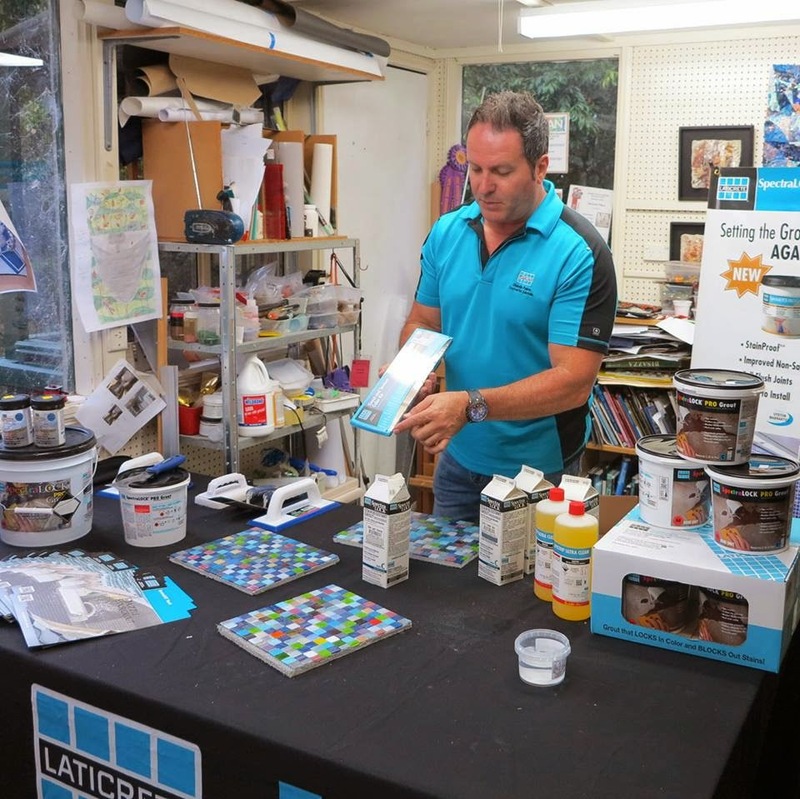 Interested in becoming a LATICRETE stockist? Contact your local LATICRETE Sales Rep for more info. We would love to hear from you! Friday 20 March - Hands-on Demo! Your local LATICRETE VIC Technical Sales Reps, Alex Kralefski and Nick Collett will be at New City Ceramics, Friday 20 March from 6.30am - 2.30pm for a Trade Event. You may find yourself saying, "I'm too busy, why should I attend?" Now this IS the EXACT reason why you SHOULD be there! When we demonstrate and discuss the products you will see how LATICRETE materials will earn you more $$$ by increased productivity and how we can assist in reducing job site problems. LATAPOXY® 310 Stone Adhesive, a two component, high strength epoxy adhesive. Engineered, formulated and optimised for the spot bonding fixing method of installing tile and stone on vertical surfaces. LATAPOXY® 300 Adhesive is a chemical resistant, epoxy adhesive that will bond to most sound, clean surfaces. The adhesive spreads easily and cleans with water while fresh. This is an awesome opportunity for you to get your hands dirty in the demo and you will see exactly what we mean by productivity! 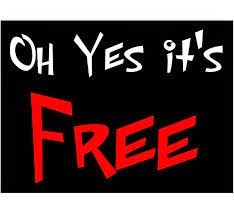 Attend the Trade Event to qualify for a FREE Give Away. Contact Rohan/Kate, at New City Ceramics on 03 9682 0555 for questions re availability of LATICRETE stock. Do you think the QLD LATICRETE team are fit? What a day - Saturday, 7th March was an extremely hot one in Brisbane especially when doing an early morning workout. But, this workout was like none other! 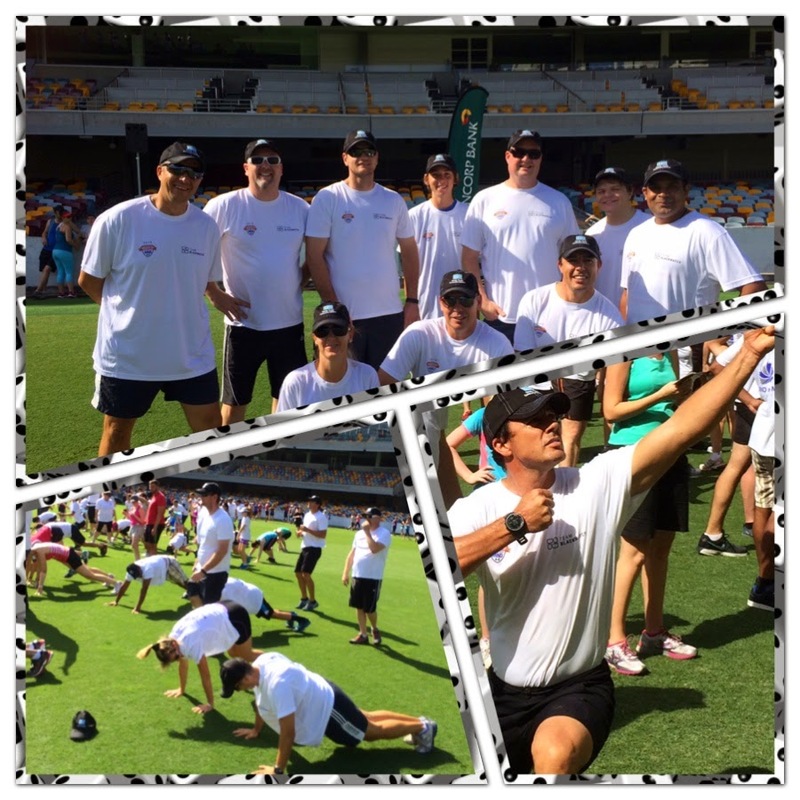 The LATICRETE Australian QLD team, took part in the "Muscle Up for MND" fundraiser, at The Gabba, QLD. It was a great day as the team got behind this important event. The LATICRETE team had previously been involved in a project with the founder and MND suffer, Scott Sullivan of MND & Me Foundation. The "Muscle Up for MND" workout consisted of various challenges - from Zumba, to Boot camp, to being challenged by the Brisbane Lions and finishing with Heavy Rock…just to mention a few! Loads of fun and good laughs were had - some team members thought they were Usain Bolt, hey Mitchell Haw?! It has taken about 5 days for some of the team members to recover from their aching bodies but, the QLD team will be going back for more next year to help beat the world record! 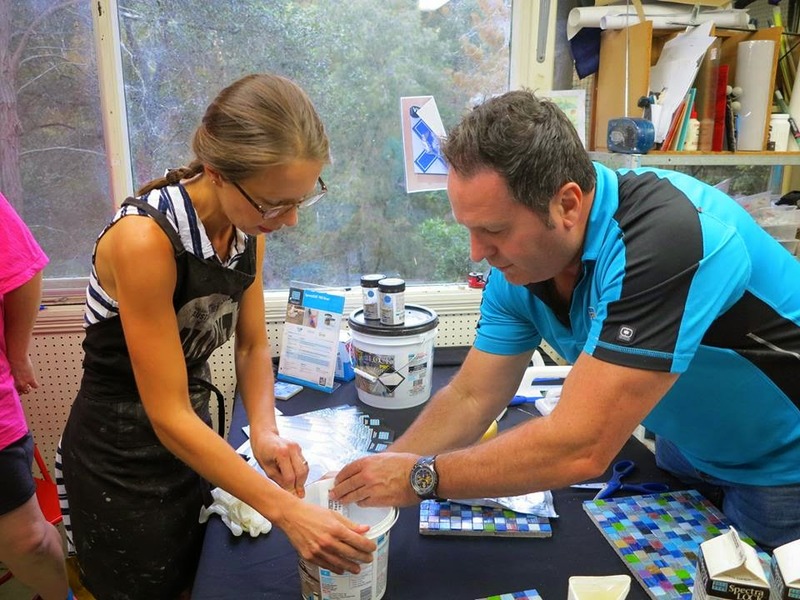 The LATICRETE NSW Technical Sales Team, Joe Tabone and Craig Hunter recently demonstrated SPECTRALOCK PRO Grout at a workshop with mosaic artists held at Marian Shapiro's studio. Click here for more information and to view an installation video. Contact us for more information, arrange a demo or trade event by calling 1800 331 012 or email us here. Join in for the Hands-on Demo! 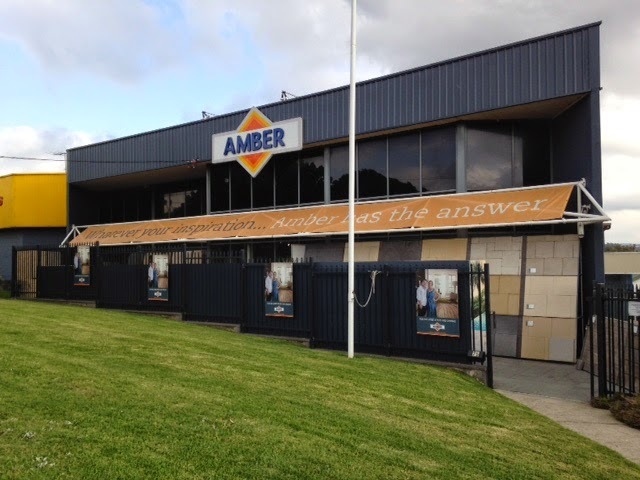 Your local LATICRETE NSW Technical Sales Reps, Craig Hunter and Joe Tabone will be at Amber Mona Vale on Wednesday, 18 March from 7am for a Trade Event. Address: 25 Barrenjoey Road, Mona Vale, NSW. Get to see STRATA_MAT another INDUSTRY First from LATICRETE - the next Generation uncoupling mat and SPECTRALOCK PRO the "StainProof" Grout being demonstrated. Attend the trade event and get a *15% LATICRETE Rebate on your next LATICRETE purchase. Contact Shane, the Amber Mona Vale Manager on 02 997 7744 or email MonaValemgt@ambertiles.com.au for questions re availability of LATICRETE stock. 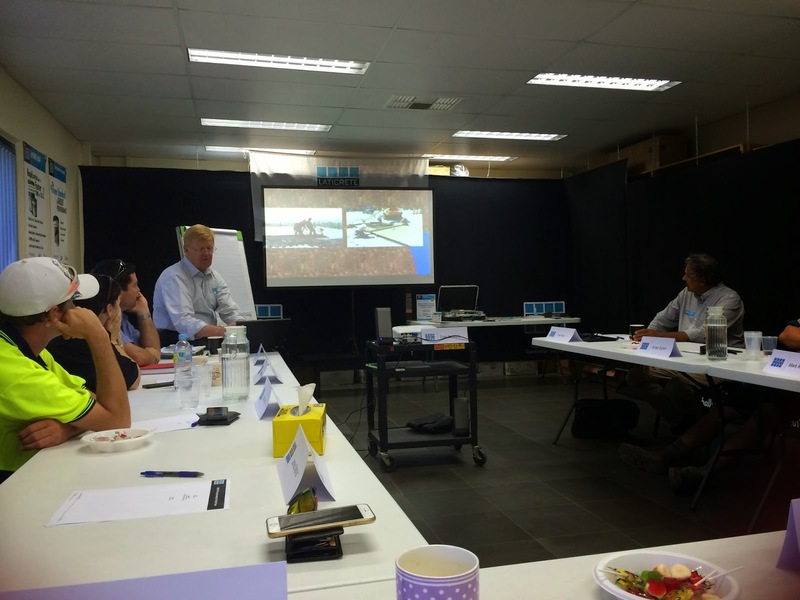 Greg Schwietz, President of L&M Construction Chemicals Inc, was recently in QLD and provided training on L&M Construction Chemicals. It was a great day as lots was learnt and we got to demonstrate with the products. 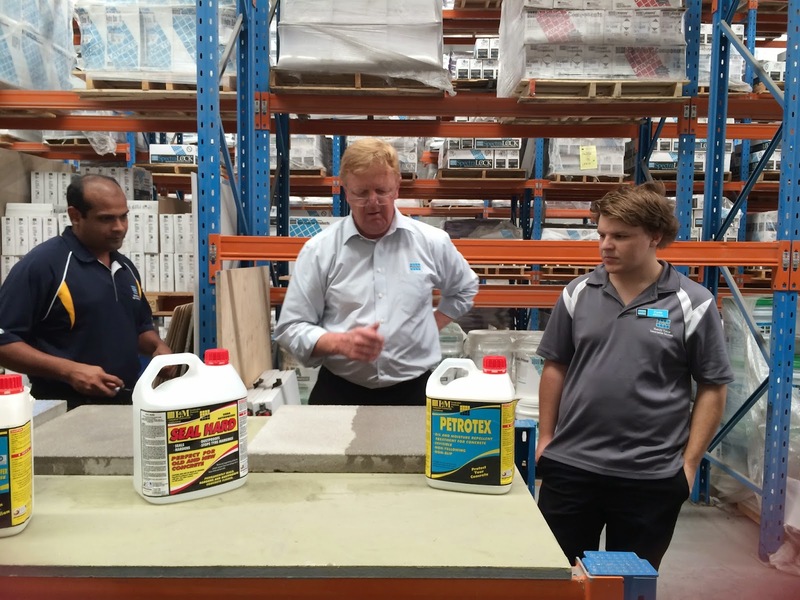 Applicator, Tony Maher and his team from Concord Industrial Coatings Pty Ltd attended the training. 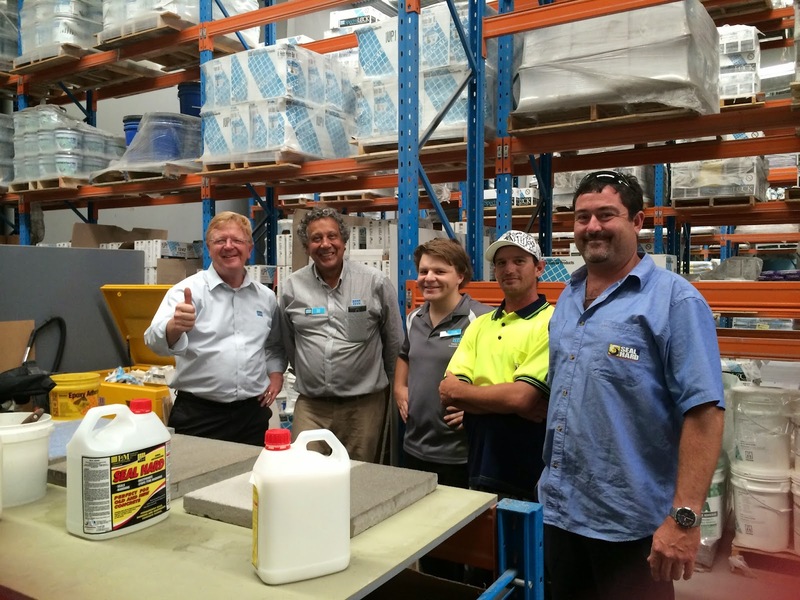 Tony is your local distributor for L&M in Australia and they have done numerous projects using L&M Construction Chemicals - go check out their website. L&M Construction Chemicals provide the solutions to all your concrete needs from construction, to the repair and ultimately, the protection of the concrete. Did you know there are even dye options available? View/download the L&M Construction Chemicals Product Selection Catalogue. For more information on materials available from L&M Construction Chemicals call 1800 331 012 or email us here. 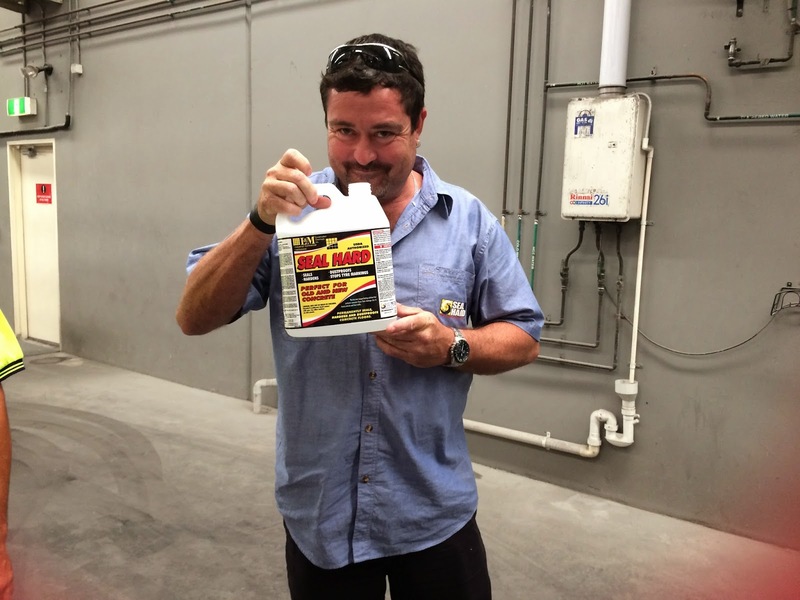 Industry First Dry Pigment Solution Grout! PERMACOLOR® Select is an advanced high-performance cement grout that offers the industry’s first dispensable dry pigment solution. PERMACOLOR Select is designed for virtually all types of residential and commercial installations and offers optimum performance on the most demanding exterior or interior applications. Easy to mix, grout and clean, PERMACOLOR Select is fast setting and is suitable for joints. Contact your local LATICRETE Technical Sales Rep on 1800 331 012 or email us here to arrange a demo, FREE sample or to discuss your next project. LATICRETE is a leading manufacturer of globally proven construction solutions for the building industry. 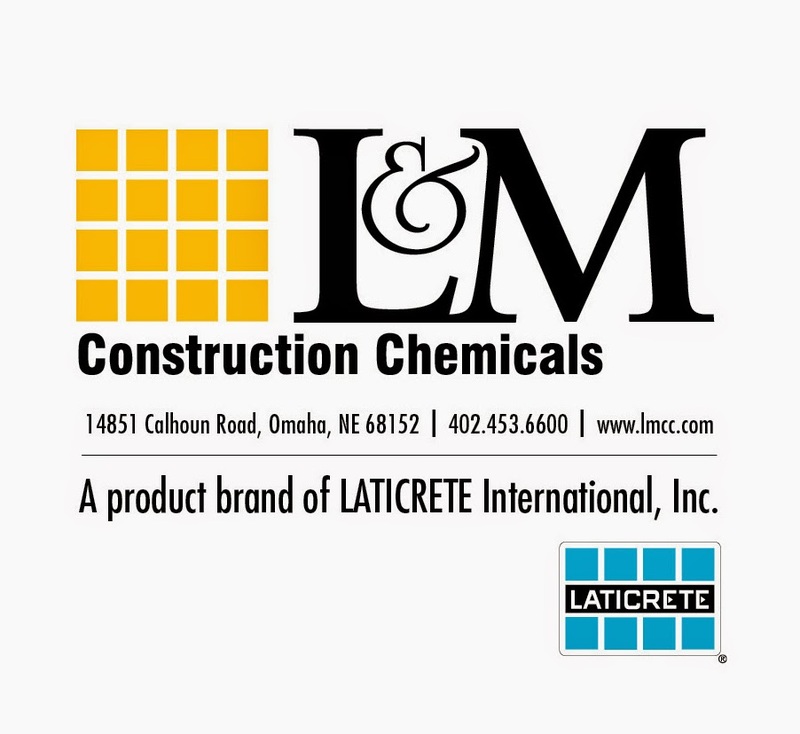 LATICRETE offers a broad range of products and systems covering tile & stone installation and care, masonry installation and care, resinous and decorative floor finishes, concrete construction chemicals, and concrete restoration and care including the LATICRETE® SUPERCAP® System. For nearly 60 years, LATICRETE has been committed to research and development of innovative installation products, building a reputation for superior quality, performance and customer service. LATICRETE methods, materials and technology have been field and laboratory proven by Architects, Engineers, Contractors and Owners. Offering an array of low VOC and sustainable products, LATICRETE products contribute to LEED certification, exceed commercial/residential VOC building requirements, and are backed by the most comprehensive warranties in the industry. For more information, click here to view/download the LATICRETE Brand Brochure. Click here to view/download our Comprehensive System Warranty brochure. Want to speak with a LATICRETE Rep or Technical Services, 1800 331 012 or contact us here. 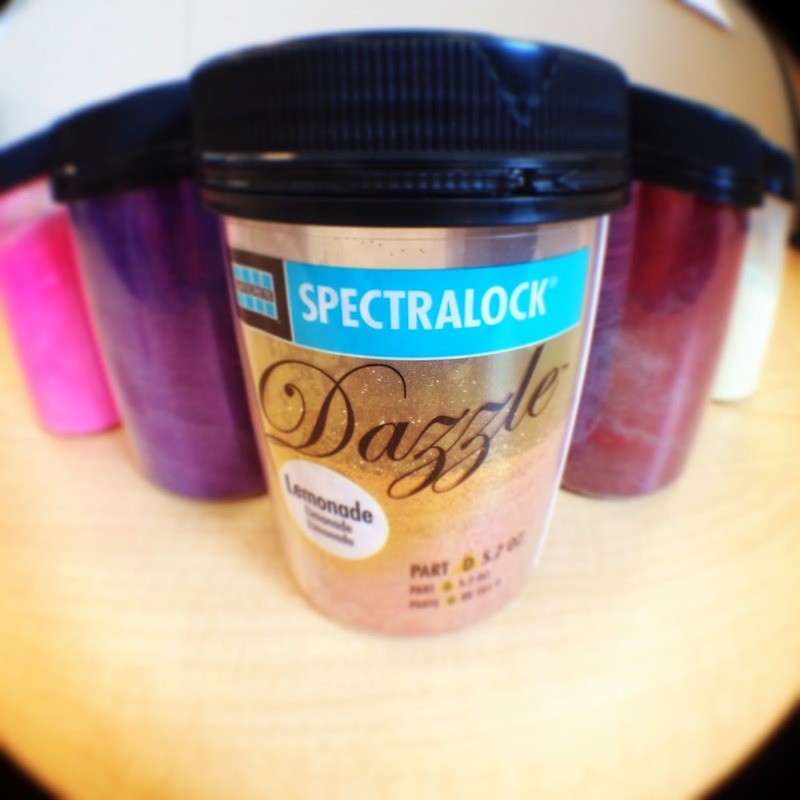 Our current SPECTRALOCK® DAZZLE™ choices are Gold, Silver, Copper, Mother-of-Pearl and Glow in the Dark. These new colours bring contemporary, high-end design image looks, especially to glass tile installations. DAZZLE continues to be a big hit since it was introduced ten years ago. Now, with these bold and cheerful new colours, it adds even more to ones creative flair. Designers imaginations can run wild with the limitless artistic potential DAZZLE™ now offers. Appropriate for both walls and floors. DAZZLE can enhance plain tile and stone installation with a metallic look. It adds visual kick by accentuating metallic tiles, glass tiles, mosaics and natural stone with its various colour combinations. DAZZLE brings sparkle to pools and spas, and its Glow-In-The-Dark design brings a safety component to bathrooms, hallways and entrances. The Lone Star Auto Auction is a busy marketplace for buying and selling cars. The facility had been previously used for a couple of decades by a shipping company and then subsequently used for auto auctions. The inherited concrete slab was heavily gouged, scarred and cracked, a flooring problem the owners wanted fixed. 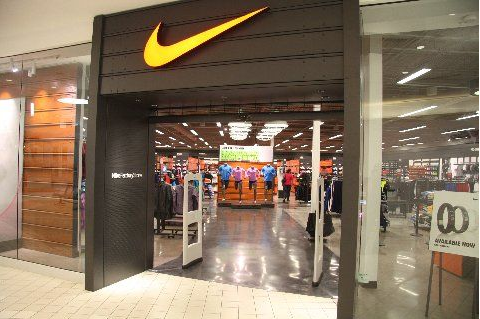 For busy retail spaces, downtime for the facility means lost revenue. The auction’s owners needed a fast turnaround, decorative flooring solution to minimise operational loss. 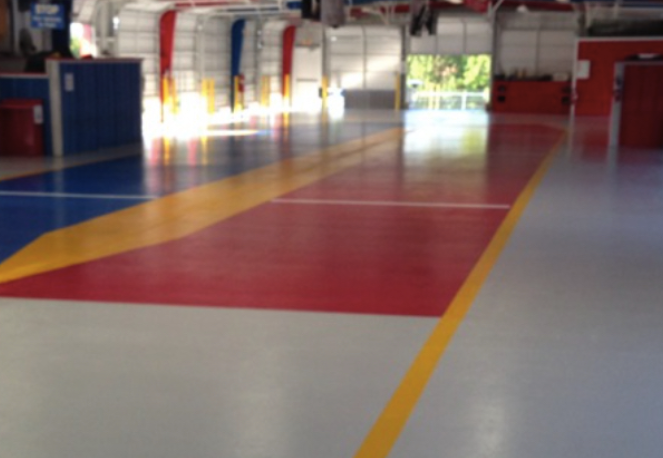 Extreme Epoxy was the SPARTACOTE® polyaspartic contractor on the job. They went in on Friday night after hours to prepare the floor to accept the polyaspartic coating. First, they repaired all cracks and spalls using SPARTACOTE FAST-FIX concrete repair material. They then cleaned and filled all joints with SPARTACOTE JOINT-FLEX 75 concrete joint filler. Next, they brought in a large diamond grinder to grind the slab to a concrete surface profile of 3 (CSP-3) in order to accept the SPARTACOTE polyaspartic coating. On Saturday morning, the crew installed two coats of polyaspartic SPARTACOTE SPARTA-FLEX™ Grey, followed by two coats of red and two coats of blue. 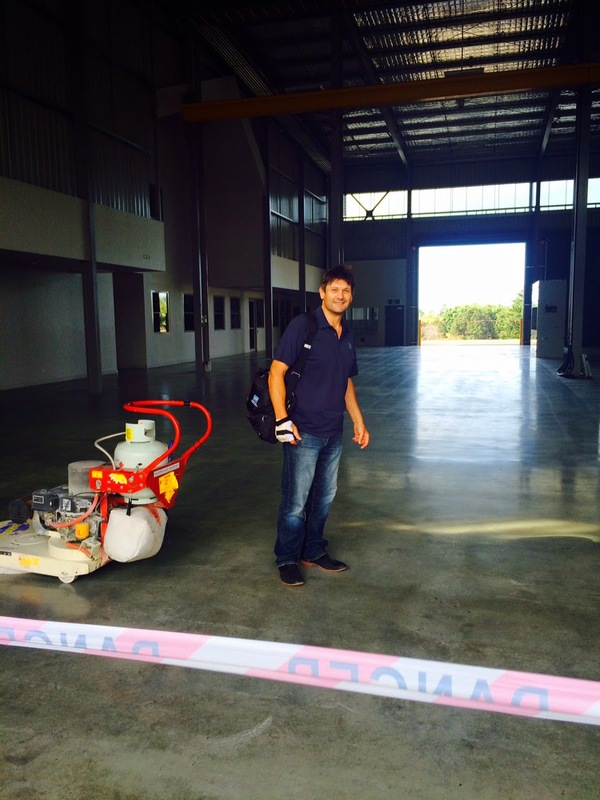 The project was completed on Sunday afternoon, quickly returning the floor to service over the weekend. 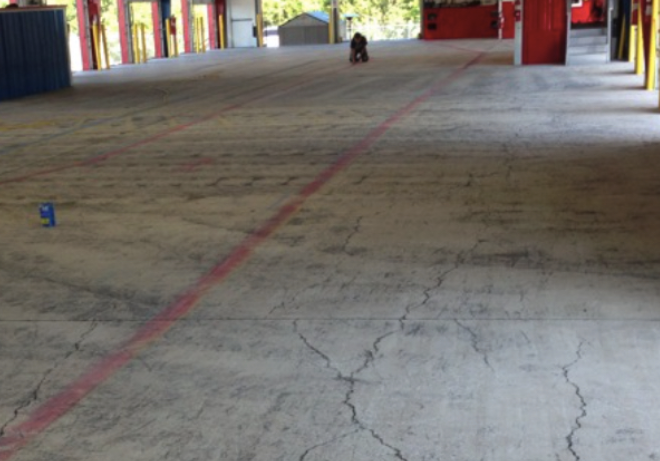 A similar epoxy system would have taken substantially longer and cost the owner of the Lone Star Auto Auction valuable downtime. The Lone Star Auto Auction opened for business on the Monday following the weekend installation. Click here view/download the Project Spotlight . For more information about SPATACOTE® products and becoming a distributor, contact LATICRETE® by calling 1800 331 012 or email us here. 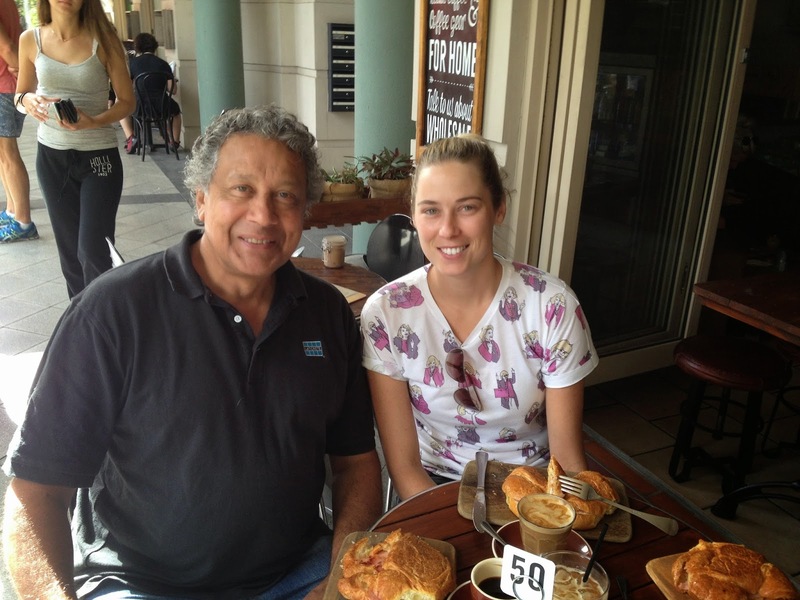 Fred Gray with Melissa Scott, an awesome lady tiler. LATICRETE will be there - on or off the job site, providing technical support and advice, to contractors, architects, specifiers, our distributors or major tile and stone companies. We provide customised training - at your premises or ours - demo's - trade events - samples - customised specifications for YOUR project! Give us a call, let's discuss your next project and allow us to provide you with information about our tile and stone installation System Warranties. Check out our Seminars for a schedule of the dates. Call us - 1800 331 012 or email us here for more information. Yes - that's correct, Greg Schwietz, L&M President will be in Brisbane Australia providing training on L&M Construction Chemicals products. Learn from the best! Learn about products that provide solutions to concrete problems. L&M has always realised the construction industry's need for form release agents and to improve long term durability and appearance of concrete surface hardeners and identifiers. Contact us on 1800 331 012, or click here to book your seat! SPACES are LIMITED.